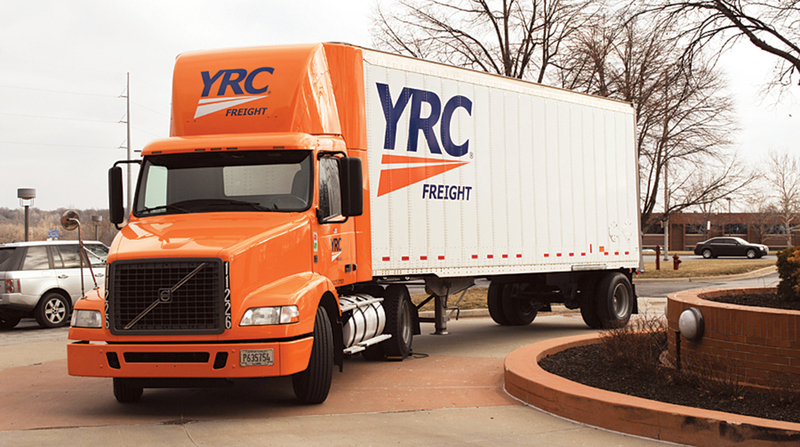 YRC Worldwide Inc., a holding company for less-than-truckload carriers, in its initial look at fourth-quarter results, forecast flat operating revenue with operating income possibly coming in more than twice as high as a year earlier. Complete financial results for the period ended Dec. 31 will be released Jan. 31, according to the Overland Park, Kan.-based company. For the fourth quarter, the company anticipates reporting consolidated operating revenue of approximately $1.2 billion to $1.3 billion and consolidated operating income of approximately $55 million to $65 million, which will include an approximate $28 million gain on property sales. That compares with consolidated operating revenue for the 2017 period of $1.2 billion with consolidated operating income of $22.1 million, which included a $3.6 million gain on property disposals. “I am proud of the year-over-year operational improvement in our fourth quarter,” YRC Worldwide CEO Darren Hawkins said in a statement. Hawkins sees a solid foundation to continue improving the company’s operating results. “Going into 2019, our liquidity position is strong. We will continue our focus on yield discipline, realizing returns on our investments in revenue equipment and increasing the coverage of our customers’ supply chain needs with HNRY Logistics,” he said, a reference to leveraging the enterprise synergies of carrier subsidiaries Holland, New Penn, Reddaway and YRC Freight.